Archadeck of Nashville is in what many would call an enviable position. 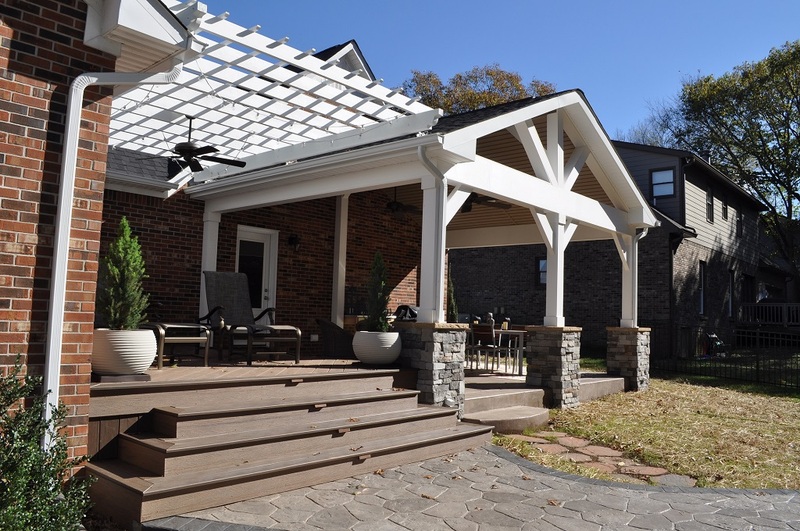 We have the opportunity to meet with homeowners in the Nashville-area, including Lebanon, TN, throughout the year and hear first hand what they like, what they are looking for in their outdoor spaces. We also know what type of things they are contracting us to build in their backyards. With this in mind, we would like to share what Lebanon homeowners currently have on their minds in terms of top outdoor living space designs. 1) Cathedral and vaulted ceilings within screen porches interior are very popular. The pitch of the roof dictates ceiling height and since our most utilized roof styles for screened porches in the Lebanon, TN, area are the gable and hip, it sets the stage for a vaulted or cathedral ceiling. 2) Exposed rafters. Nothing adds character or style to a screened porch interior quite like exposed rafters. With the simple act of leaving the ceiling of your porch open (exposed), you create a panoramic focal point. This element is especially popular with homeowners going for a rustic, or shabby chic look for their new porch addition. 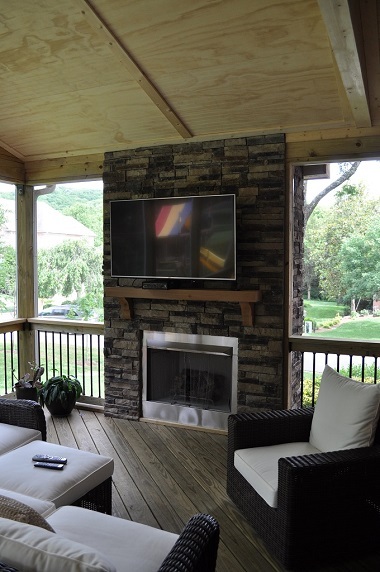 3) Outdoor fireplaces are hot as part of our screened porch designs. Having an outdoor fireplace within your porch space helps create an atmosphere similar to an interior living room. 4) Eze Breeze porch systems are becoming more popular because they provide customers with a variety of ways to use their outdoor rooms. Eze-Breeze is a vertical sliding panel of vinyl windows that are backed with screens. This system allows you to extend the use of your Lebanon screened porch and it adds protection from insects, debris such as dirt, pollen and other allergens. 5) Custom, custom, custom! 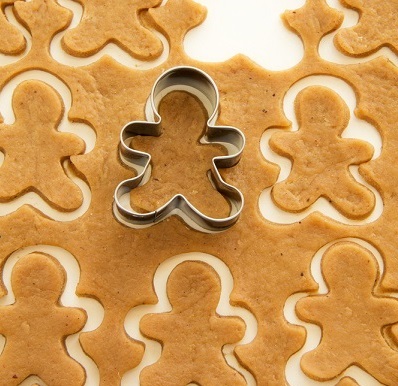 Gone are the days of cookie cutter porch designs. 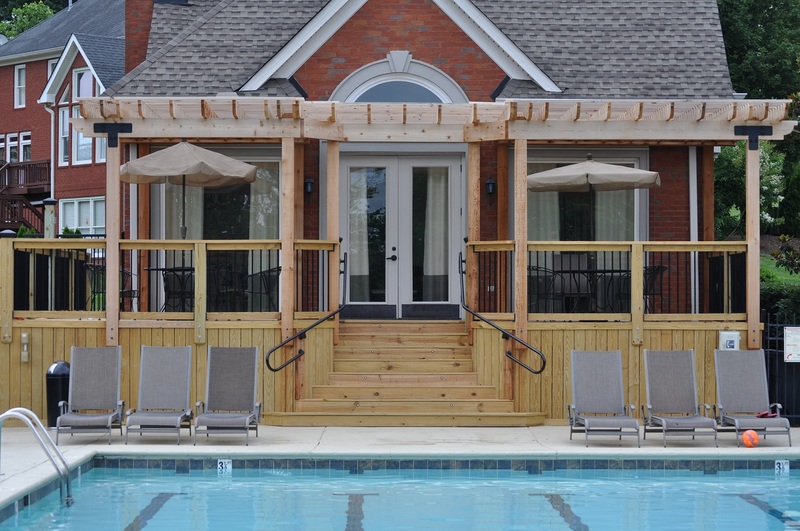 Each and every one of our porches is totally customized to what Lebanon homeowners want and need. The size, roof style, finishes, flooring, and ceiling treatment are done according to your specifications. 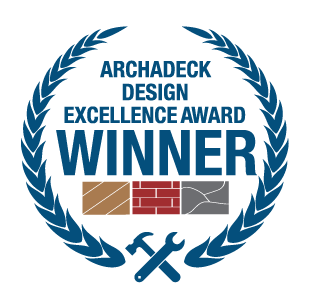 Looking for great ideas in custom deck designs? What’s new? What are the current trends? Here at Archadeck of Nashville, we keep up with innovations in deck design. 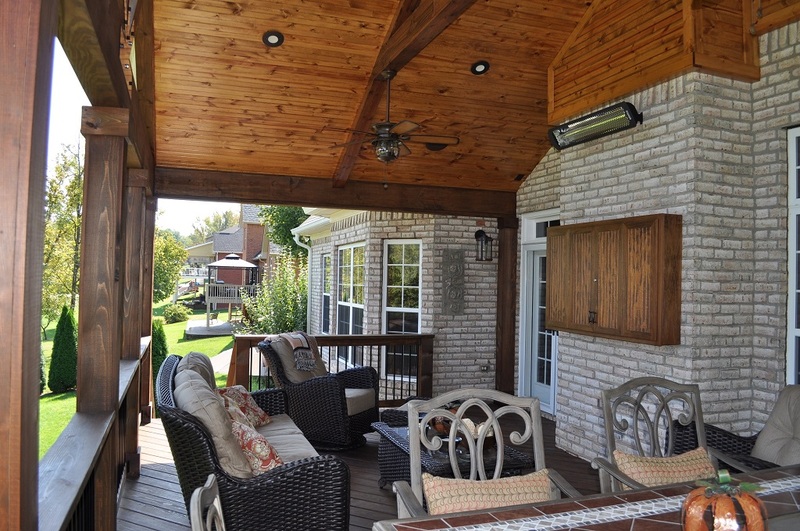 We want to show our Lebanon TN clients the most attractive and well-constructed deck ideas. 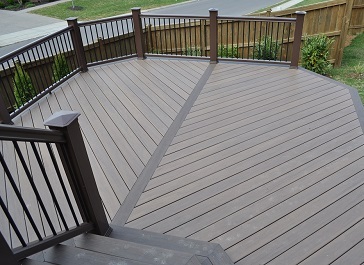 Clients are often amazed by the number of options available for decks today. When you first start thinking about adding a deck to your home, replacing an older deck, you may think a deck is a deck is a deck. Seen one, seen them all? That’s certainly not true anymore. 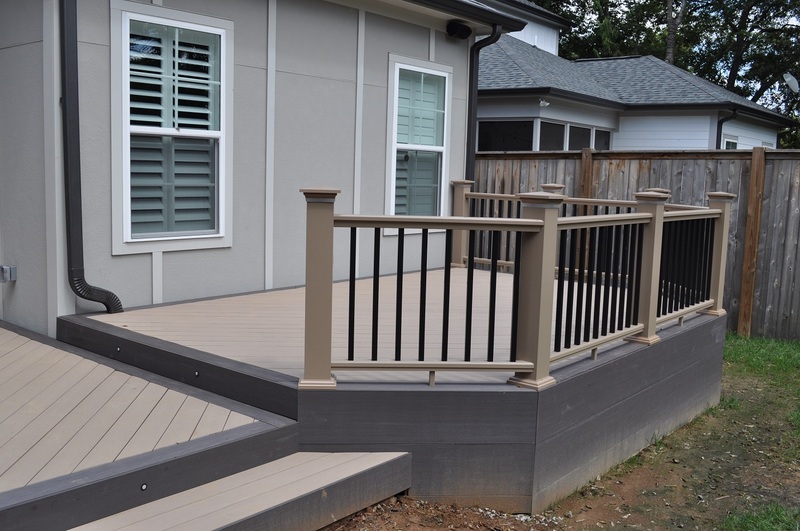 Among the variety of decks being built these days are different sizes, shapes, colors, materials, railing styles, stairway designs and more. 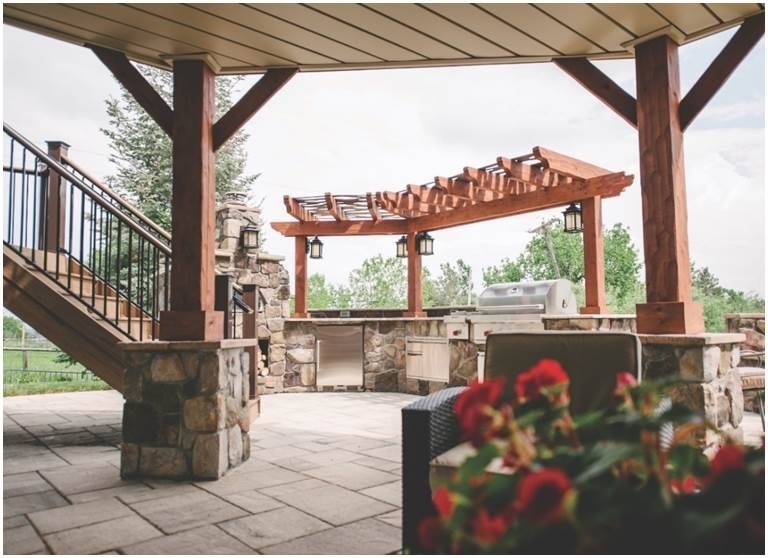 By the time you complete your selections within each of these options, you will have designed a deck that reflects your personal style and address your specific functionality. 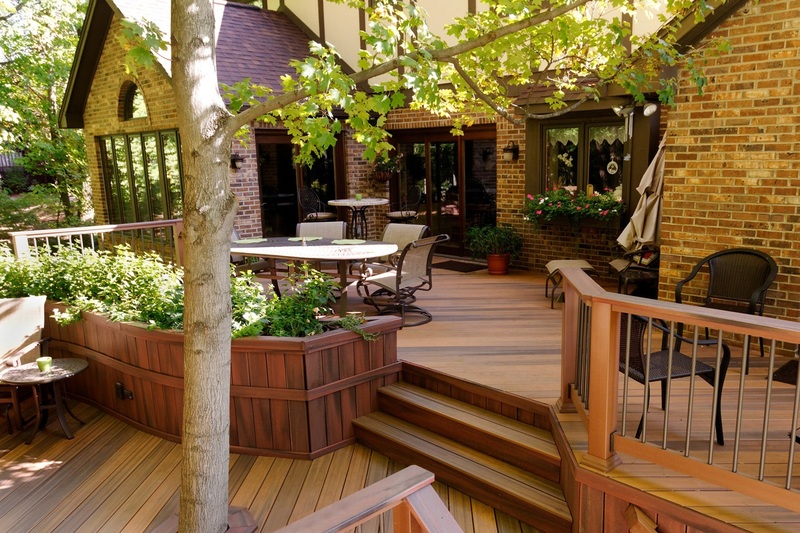 The 5 most popular deck design features that are requested by Lebanon, TN, homeowners are low-maintenance decking boards, metal pickets on the railings, parting boards, diagonal decking boards and picture framing. 1) Low-maintenance synthetic decking options like TimberTech and AZEK require minimal maintenance over traditional wooden decking. They are also impervious to many of the hazards that befall decks due to weather, wear, and time. These include rot, insects, splitting, cracking and other types of degradation. Depending on the amount of time you plan to spend in your home a low-maintenance synthetic may make sense for you. 2) Metal pickets, or balusters, are much more stylish than traditional wooden or composite pickets. 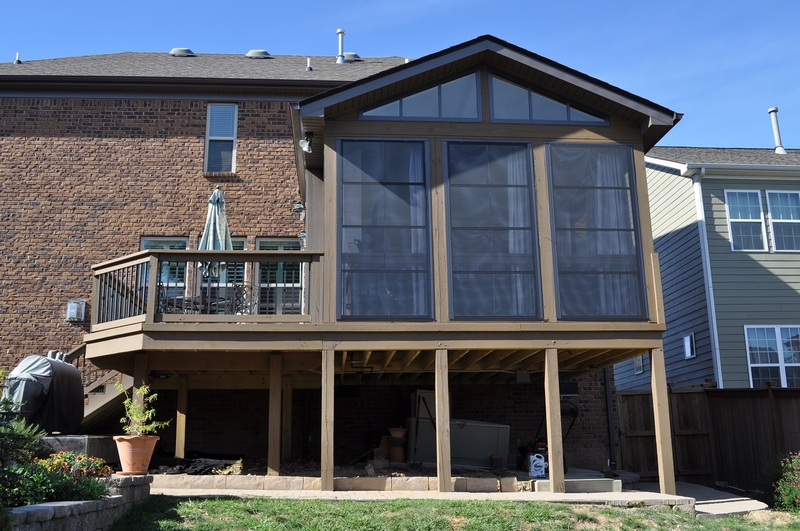 Not only do they add elegance to any deck design, they are also less obtrusive and help maximize backyard views. 3) Parting boards separate sections of a deck where the decking boards are running in different directions. We most often use this device when a deck is large enough to be sectioned off into different functional areas. Perhaps you want to have a lounge area on one part of the deck and a dining area on another section. 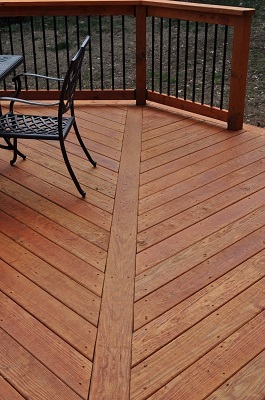 The best way to visually define these different sections is to change the direction of the decking boards. A parting board serves as a meeting point for the two sections. 4) Diagonal decking adds a distinct character to your deck and can be directed intentionally to emphasize a specific view or to affect how people move through the space. Technically, in terms of physics, the diagonal pattern creates triangles (which are stronger) as opposed to squares (which are weaker). Triangles help to brace the structure, so diagonal decking increases the strength of the frame by making the entire deck more rigid. This is especially desirable on taller decks. 5) Picture framing gives your Lebanon, TN, deck a lovely accent around the exterior edges while affording you the opportunity to include an accent color to your low-maintenance decking design. Never fear — Archadeck of Nashville does not ask you to make all these decisions on your own. During our design consultation, we can talk about trends and show you pictures of past projects we have completed. More important though, are your personal preferences. In the end, your own preferences will determine the look and flow of your deck. Don’t forget we build custom patios and hardscapes too! Time spent outdoors with friends and family is precious, and an attractive and comfortable patio can help you enjoy it to the fullest. The stone or concrete pavers available today are amazingly beautiful and durable. Paver patios, in particular, are considered low-maintenance and are becoming more popular among Lebanon, TN, homeowners as part of an outdoor living combination space or as a singular structure. Contact us today to learn more about designing the perfect, one-of-a-kind deck, porch and/or patio to complement your Lebanon, TN, home! You can reach us at 615-547-2333 or send us an email at [email protected].